This program includes all of Spanish Levels 1, 2, 3, 4, and 5. 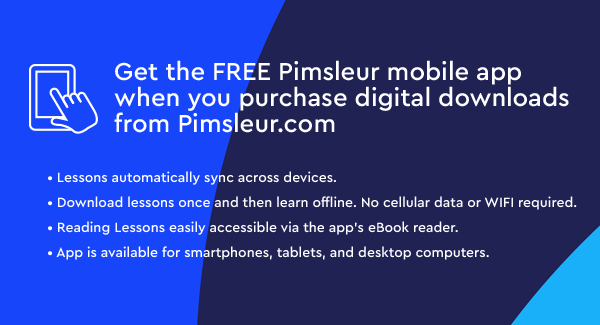 With this program you start from zero, learning first survival phrases and vocabulary, and eventually progressing to a high-intermediate level of speaking and understanding Spanish. By Level 5 the pace and conversation moves quite rapidly, accelerating exposure to new vocabulary and structures, approaching native speed and comprehension. You’ll learn to speak more in-depth about your personal life and emotional state, and be able to create complex sentences using a mix of tenses and moods. The emphasis is on pronunciation and comprehension, and on learning to speak Spanish. Spanish is the official language of 19 Latin American nations, as well as Spain, the Dominican Republic, and Cuba. Further, it’s one of the six official languages recognized by the United Nations. 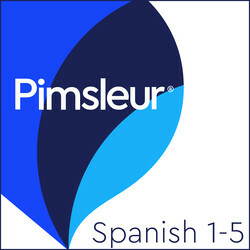 Pimsleur's Spanish Level 5 teaches an educated Latin American Spanish, featuring only native-speakers. Students can expect to understand the lessons clearly and to be understood by Spanish speakers everywhere.